Updated: Feb. 5, 2018 at 9:06 a.m. In a 33-page memo titled “The State of Dining at GW,” released Wednesday, GW Food Institute fellows criticized the University’s online resources designed to help students stay within budget while maintaining a healthy diet. Researchers said the report highlights major issues with the program because it shows that GW’s recommendations for navigating the meal plan on a budget don’t allow students to maintain a full diet. A University spokeswoman said University President Thomas LeBlanc has reviewed the report and officials are considering changes to the dining plan that will be announced in the coming weeks. In response to the memo, members of the Student Association have called on administrators to increase the amount of dining money given to students living on campus and to re-evaluate its discounted meal program. Junior Sage Wylie, a fellow at the Food Institute – a research center focusing on food-related topics like agriculture and diets – who helped write the report, said the idea for the study came from the researchers’ own curiosity about how some students stay within their dining budgets while others run out of money. The research, which analyzes student sentiment about the dining plan, the affordability of dining vendors and the resources GW offers to combat food insecurity, was conducted in November and December. As it stands, the current dining plans afford roughly $19 a day to freshmen, $12 to sophomores, $10 to juniors and $5 to seniors to spend at more than 100 GWorld vendors. Students sign up for the plan as part of their housing package – but last year students said they frequently run out of dining money no matter which plan they selected. 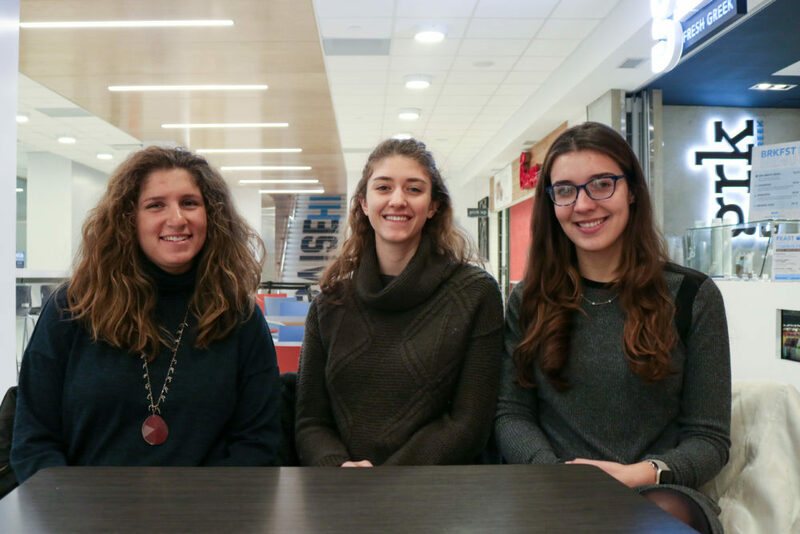 Senior Annabel Epstein, junior Sage Wylie and senior Christina Sivulka found that the campus meal plan is “setting students up to fail” in an evaluation of GW’s dining program. 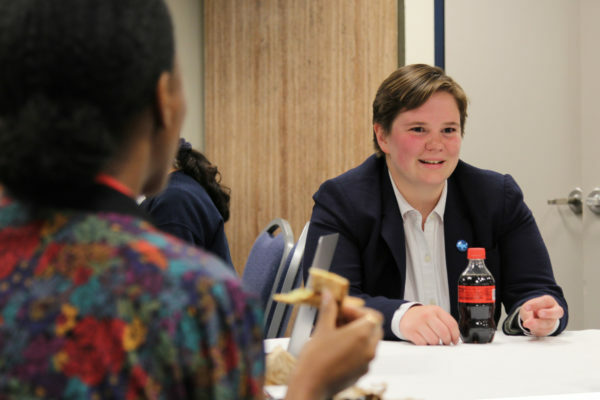 For her part of the project, Wylie examined example meal schedules provided on GW Dining’s website that purport to show students with different eating habits how to survive on their GWorld money, while avoiding hunger and encouraging healthy choices. But Wylie found, through calculating the nutritional value of the foods each hypothetical student is said to have eaten, that students couldn’t meet federal calorie recommendations living on the diet GW presents. One example of a successful meal budget showed a male student who supposedly exercised four times a week and ate less than 900 calories in one hypothetical day. The average daily recommended calorie count for college students is 2,400, a number the hypothetical student didn’t reach in any of the seven example days provided, according to the report. “It was kind of just mind-blowing, and very, very eye opening to see that, even though GW is providing these resources, the resources they’re providing aren’t accurate and not safe or healthy to promote,” Wylie said. Senior Christina Sivulka, who helped write the report, said the group discovered that the 8 to 10 percent profit GW obtains from every GWorld swipe results in more expensive food overall, as vendors raise their prices to compensate for the added fee. She said the group researched vendors at District House, and found that, for example, it’s more costly to purchase a Chick-fil-a meal on campus than at another location. 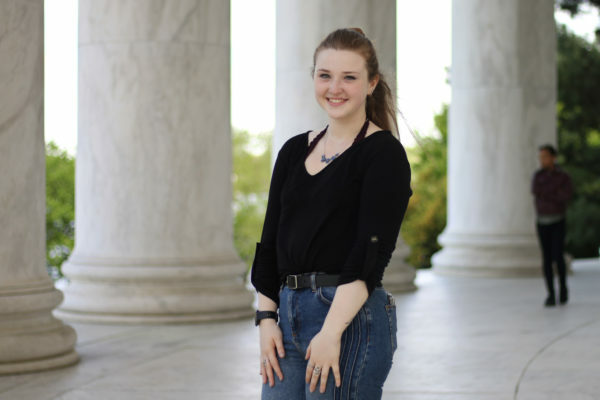 Senior Annabel Epstein, the third fellow on the study, said she analyzed student opinion of the GW dining plan by searching GW Facebook pages, like the student-run memes page and Overheard at GW, observing the amount of reactions and shares each post related to GWorld or GW Dining received. 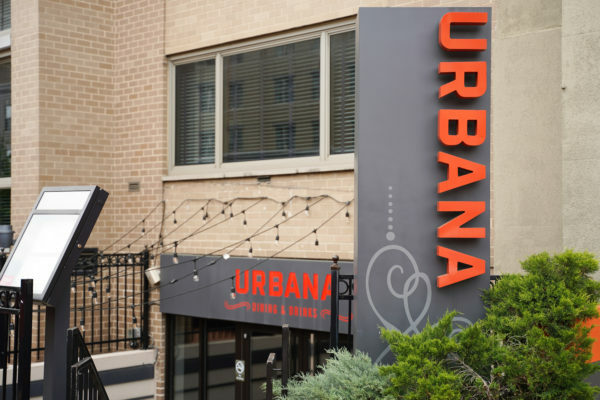 The University is currently seeking to open an all-you-can-eat dining hall on the Mount Vernon Campus after Restaurant Associates backed out of its contract with GW in December. To help combat food insecurity, officials also opened a food pantry in the basement of District House in 2016, which has since been used by more than 550 students. Officials have insisted that the food pantry and food insecurity issues are not related to the dining plan. Over winter break, the students finalized their study and emailed it to LeBlanc and Logan Malik, the Student Association’s director of sustainability. The fellows said they requested to meet with LeBlanc to discuss the memo further, but he declined, so they visited his office hours instead. At that meeting, they said LeBlanc was receptive to changing the dining plan, and they felt encouraged by the conversation. University spokeswoman Lindsay Hamilton said several administrators have received the memo and that in response to student feedback, “the University is currently considering changes to the dining program” that will be announced in the coming weeks. “Ensuring students have access to affordable food options and are getting the nutrition they need is always a high priority for the University,” she said in an email. Malik, who received a copy of the final report in January, said that while he had previously been aware that many students struggle with food insecurity, he was grateful to have a study that quantifies the issue. SA Sen. Will Raderman, U-at-Large, has introduced legislation, which Malik endorsed, based on the report that will be debated at an SA meeting Monday. The resolution calls for the University to consider adding money to dining plans and to restructure its meal deal program, which provides discounted meal packages at some GWorld dining vendors, to make it more well-known and nutritious.